I know if you're in the UK or the US (or basically anywhere west of Dubai) then to be reviewing a 'beach tint' in October may be seasonally inappropriate. But what can I say-cream blush is cream blush and something I slather on my cheeks all year round. And anyway, we only have two seasons in Dubai-hot and scorchio. I fully expected to love the Becca Beach Tint water resistant colour for cheeks and lips-cream blush is something I use every day. Sadly however, I don't like the formula of these. 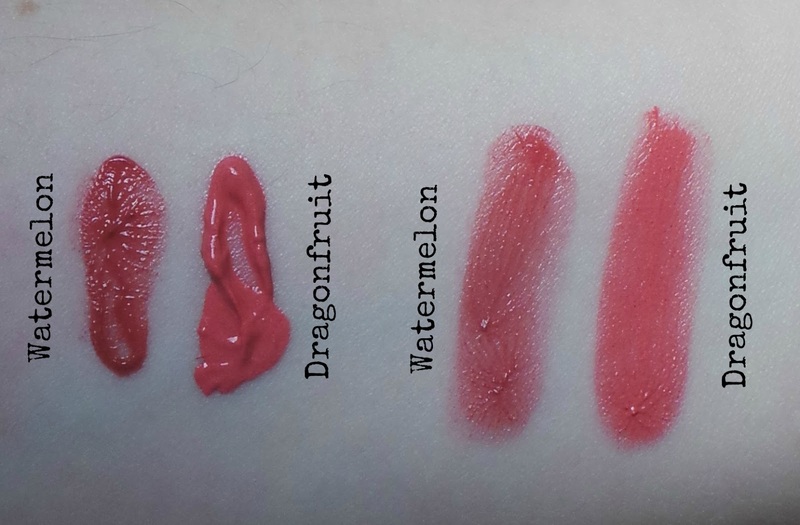 Swatched on my arm they look pigmented but I find them to be watery and uneven. The texture is light and non greasy and they do dry down on the skin. But I have tried applying them both with a small stippling brush (MAC130 is my weapon of choice) and my fingers and I just find that they eat through the foundation/primer I have put on and look wishy washy on my skin. I feel like the blush lifts the foundation off my skin and mixes in with the blush which dilutes it. Both of the colours look the same on me despite dragonfruit being much paler and more coral in real life. I don't like them on my lips either-I feel again that they are too wishy washy and uneven on the lips. As I've said earlier I do like cream blush and currently absolutely love the NARS Multiples-you just swipe on the skin straight from the tube and blend out-they don't penetrate the foundation underneath and because it's a heavier formula it sits much more nicely on the skin. Have you tried the Becca beach tints or similar?